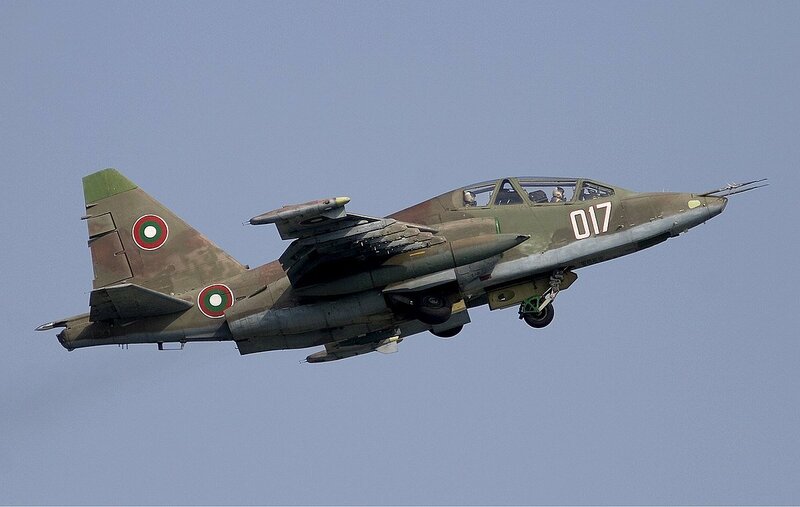 SOFIA, Bulgaria (BulgarianMilitary.com) – Today in the National Assembly, Defense Minister, Krasimir Karakachanov, said that there is only one bidder for the repair of the Bulgarian aircraft Su-25 and this is the Belarusian company 558 Aircraft Repair Plant, learned BulgarianMilitary.com. We would like to remind that in Bulgaria, there is a state-owned company for aircraft repair, Avionams, but at the moment, it cannot carry out the overhaul, because, according to the Minister, it does not have the necessary license and it would take about two years to get it. “For such repairs, a license is needed, and Avionams doesn’t have it. Its obtaining may take 2 or 3 years, and we cannot wait. This is not Zhiguli, which you can give to every service in every village. This is aviation equipment.” – were Minister’s word. It becomes clear that Bulgaria has sent to two companies a request for offer for the procurement in question – the aforementioned Belarussian company and the Russian United Aircraft Corporation, which, however, apparently declined because it did not submit its proposal.